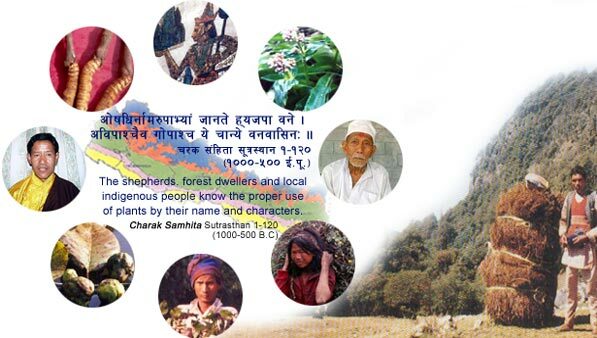 With the support of ICIMOD, the Ethnobotanical Society of Nepal (ESON) has developed a database on medicinal and aromatic plants of Nepal, under the umbrella of Medicinal and Aromatic Plants Network (MAPs-Net) Nepal. The project was executed during 2008-2009, and now available for the researchers and different stakeholders. The online database is hosted by ESON, with the support of ICIMOD. 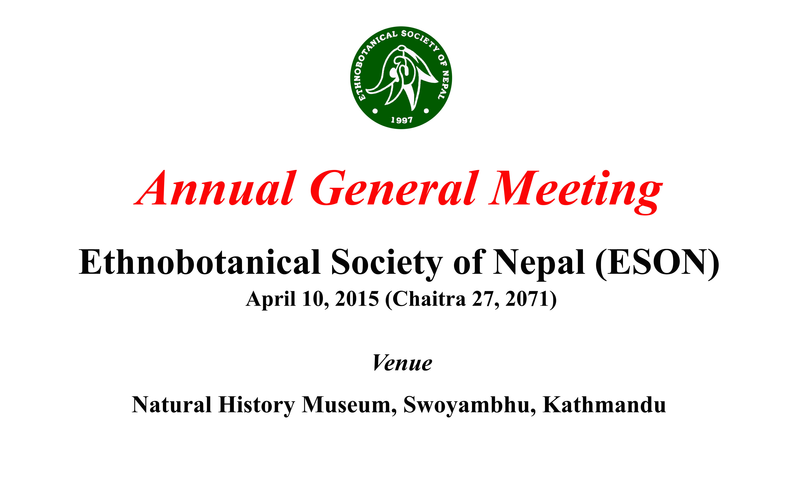 The Annual General meeting of Ethnobotanical Society of Nepal (ESON) was held on April 29, 2016 (Baishakh 17, 2073) at Department of Plant Resources, Thapathali, Kathmandu. Dr. Rajdev Prasad Yadav, Director-General of Department of Plant Resources, MFSC had inaugurated the AGM and given the inaugural speech. Dr. Tirtha B. Shrestha, Dr. Ghan Shyam Gurung, and Prof. Mohan Siwakoti had given remarks. Prof. Dr. Krishna K. Shrestha (President, ESON) gave the concluding remarks as the chairperson of the program. A progress report of ESON as "ESON: Towards Networking and Collaboration in Ethnobotany" was presented in the program. 2016 WORLD WOOD DAY "Wood is Good"
Thematic Leaders: Ministry of Education (MoE), Ethnobotanical Society of Nepal (ESON), Federation of Handicrafts Associations of Nepal (FHAN) and Kathmandu Metropolitan City. Events: Woodcraft, Wood architecture, Folk Art Workshop, Symposium and Topics, Folk Music and Dance Performance, Children Event, City Tour and Wood Design. 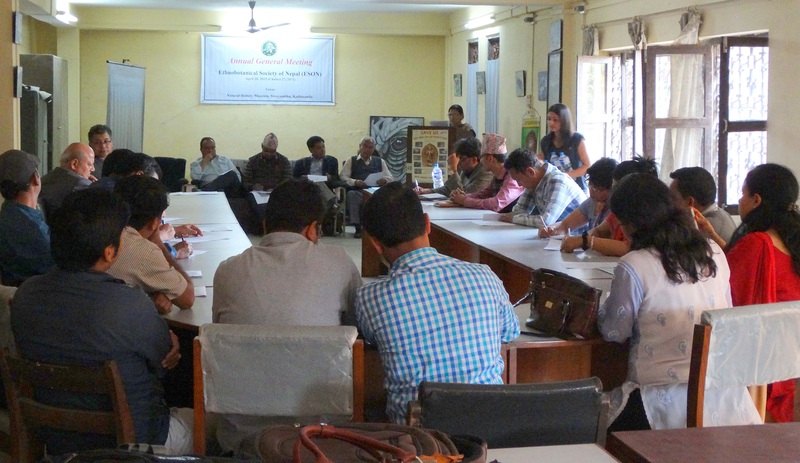 A two day workshop on �Multistakeholder Consultation on Scaling up Modern Bioenergy Production and Use through Sustainable Agroforestry Systems in Nepal�, organised by the World Agroforestry Centre (ICRAF), in collaboration with the Ethnobotanical Society of Nepal (ESON) and the University of Leeds, was held on 16-17th November, 2015, at the Hotel Himalaya in Kathmandu, Nepal. The multistakeholders consultation brought together about 49 experts and practitioners from Nepal, UK, Kenya, India, Germany representing the Government of Nepal, NGOs, private sector and international organisations. The consultation was inaugurated by Honourable Deputy Prime Minister & Minister of Energy, Top Bahadur Rayamajhi, and delivered inaugural speech. Similarly, Dr. Yuba Raj Khatiwada, Hon'ble Vice Chairman, National Planning Commission, Prof. Krishna Shrestha, President, ESON and Dr. Navin Sharma, Director Biofuels Programme, Nairobi, shared their experiences on the bioenergy sector from the global point of view and also set the expectation for the workshop. 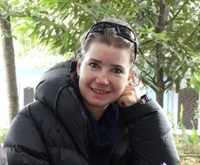 Dr. Deborah Long, Head of Plantlife Scotland, had visited Nepal from September 28 � November 22, 2014. She had travelled to Dolpa for about four weeks, followed by short visits to Rasuwa and Dhading districts, and monitored the past and current projects at ESON. She was working at ESON to review the ESON activities (1998-2014), and prepared a provisional operational plan for 2015-2020. An Interactive workshop on "ESON: Today and Tomorrow" was held on November 17, 2014 in Kathmandu. The main objective of the workshop was to highlight the activities of ESON since its establishment. Dr. Deborah Long (Head, Plantlife, Scotland/UK), who spent a month in ESON, had presented a report on the monitoring and evaluation of ESON activities, and presented a forward plan for 2015-2020. A national workshop on "Nepal Energy Garden Ambassador's Workshop' was held on October 10, 2014 in Kathmandu. The program was organized by the University of Leeds (UK), ANSAB, ESON, FEDO and Practical Action (Nepal), and supported by DFID (UK). The workshop was attended by the experts from the UK, India and Nepal, and the Nepal Energy Garden Ambassadors representing 18 districts of Nepal. The Honorable Energy Minister inaugurated the workshop, and addressed by distinguished guests. ESON, in collaboration with Central Department of Biotechnology, Tribhuvan University, Kathmandu, and Korea Research Institute of Biotechnology and Bioresources (KRIBB), South Korea, is carrying out a research project on 'Bioprospecting of underutilised plants of Dhading district'. The project duration is April 1- December 31, 2014. Four M.Sc. students of Biotechnology and Botany are working for their Master's dissertation. The University of Leeds (U.K.) is collaborating with ESON, ANSAB, FEDO, Practical Action (Nepal), and Hassan Biofuel Park (India) the 'Nepal Energy Garden Project' (April 2014-March 2015), which is supported by the UK Government's DFID. 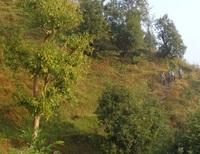 The field sites are in the villages of Dolakha, Gorkha and Lamjung districts. ESON is supporting an M.Sc. student of Central Department of Botany, TU to work on the "Assessment of Bioenergy Plants and Plant products in Dhading District", as a part of M.Sc. dissertation. As a continuation of the first phase of the MAPs project (2006-2007) in Rasuwa, Plantlife International supported second phase of the project (2008-2009), which was launched in three VDCs of Rasuwa District (Chilime Gatlang and Thuman) in the buffer zone of Langtang National Park. The livelihood of the local people of these VDCs is directly linked with the medicinal plants trade. ESON continued collaboration with Manekor Society Nepal, and FECOFUN Rasuwa district to accomplish the second phase of the project, and establishment of the 'Biodiversity Information Centre' in Dhunche.